This is a very popular dish in Kerala and looks fiery. It is mainly cooked with oily fishes like Tuna, kingfish, Salmon, Mackerel. In Kerala this is made in "chatti" which is an earthen pot. =►Clean and cut fish to medium pieces. =►Make a paste with chilly(1 ½), pepper(½), turmeric(¼), ginger&garlicpaste along with 1tsp of lemon juice & salt. 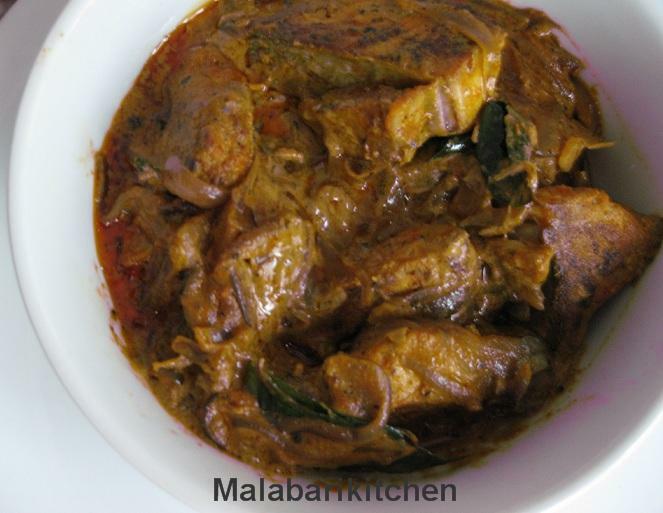 =►Marinate fish pieces with above masala paste and keep it aside for 1hr. =►After 1hr , fry(shallow fry) the fish pieces and keep it aside. =►Cut Onion into lengthwise nice pieces. 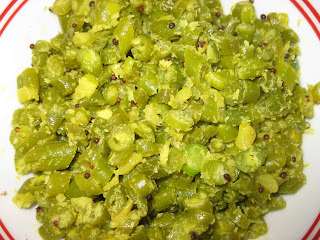 =►Heat 2tsp of oil in a pan and put the sliced onion, curry leaves and green chilly into it. =►Saute it well till the onion becomes golden brown, add chilly(1tsp),coriander (1ts)& turmeric powder into it. 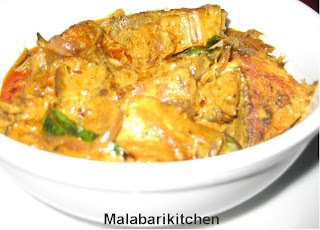 =►Next add fried fish pieces along with ½ cup of coconut milk. =►Rotate the pan and mix it well. Close it with lid on medium-slow flame for 10min. 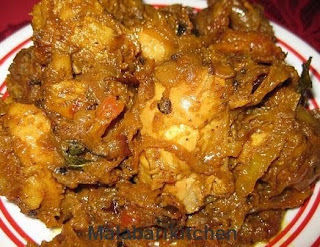 =►This go well with chapathi, rice, porotta…etc.